Click the dropdown menu by your username in the user bar at the top right corner of the site. Assignment Records - View all assignment records. You cannot add new records here, only view and edit existing records. Useful if you make a mistake. Combat Records - View all combat records. You cannot add new combat records here, only view and edit existing records. Useful if you make a mistake. Soldiers - View all soldiers. This will be where you do most BMO work. 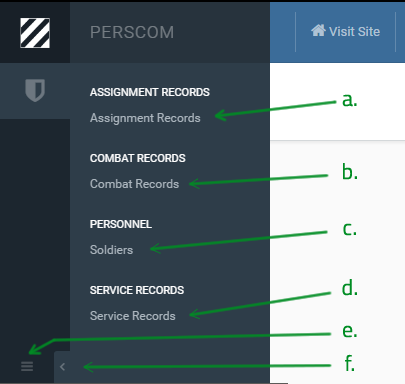 Updating/adding Service Records, Combat Records, Assignments, MOS, Supervisor, Awards, etc. Service Records - View all service records. You cannot add new service records here, only view and edit existing records. Useful if you make a mistake. Reorder Menu - You can reorder the menu here. This is useful as the menu is in alphabetical order initially, but you won't need to access most sections very often. 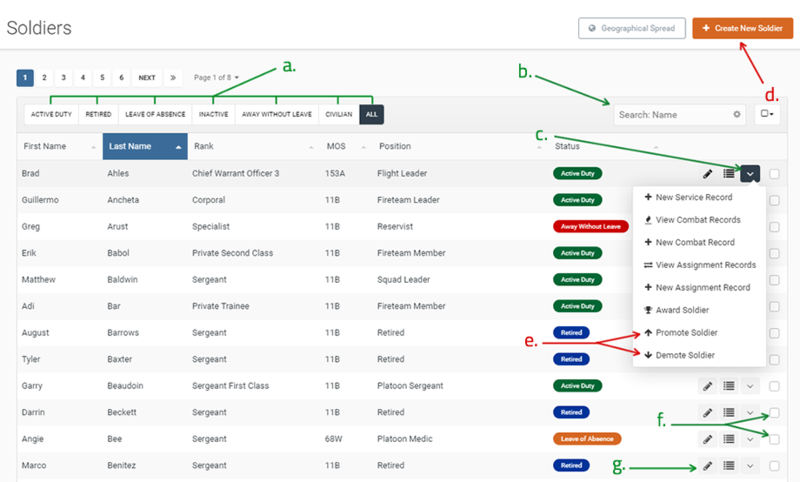 It is suggested to move the Personnel Section to the top. This has an added benefit that when you first log into the AdminCP, it will be the first section to load. Collapse Menu - You can hide the menu to give you more working area. You can hover to open it again. Filter list by current status. Search by name (first or last). Drop down menu. Most functions found here. New Service Record, New Combat Record, New Assignment Record, Award Soldier. Create Soldier. This function is only to be used by CSTAFF and Senior RRO Personnel. Although Promote and Demote Soldier functions are present in the menu, these are not BMO duties, and only CSTAFF (Officers) should use these. Batch Process selection. 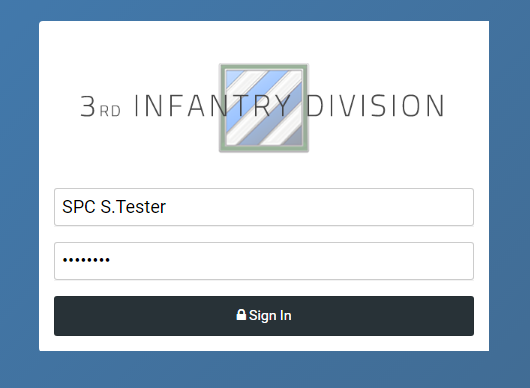 Select multiple soldiers to batch process awards. Edit Soldier. See the Edit Soldier documentation article for specifics.